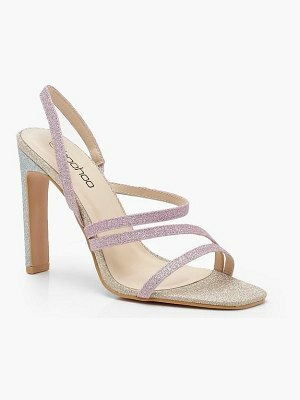 Jimmy Choo glitter fabric sandal. Metallic leather trim. 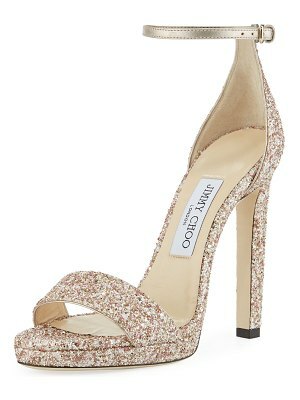 4" lacquered stiletto heel. 3/4" platform; 3 1/4" equiv. Double banded vamp. Elastic inset eases slip-on style. Padded leather footbed. Leather lining and sole. "Alana" is made in Italy.